Charles Dickens’ “A Christmas Carol” is one of the most recognizable and beloved stories of the holiday season. The timeless tale of the miserly Ebenezer Scrooge and his redemption after being visited by the spirit of his long dead partner, Jacob Marley, as well as the Ghosts of Christmas Past, Present, and Yet To Come, has been retold many times over the years. Ebenezer Scrooge has become as much a part of the Christmas holiday as that jolly old elf, Santa Claus. A number of versions of “A Christmas Carol” play a part in my family’s holiday traditions. In addition to an annual reading of Dickens’ original story, George C. Scott’s film version of the tale is always on my family’s holiday viewing schedule and we visit Trinity Repertory Company in Providence, RI to see their annual production of the play each year. It is this last version of “A Christmas Carol” that got me thinking about how changes in otherwise recognizable presentations, whether we are talking about a holiday classic or the websites we design (trust me, there is a web design lesson at the end of this holiday tale), can add so much to the story as a whole. For those that have never had the pleasure of seeing a production of “A Christmas Carol” at Trinity Rep, allow me to explain what makes this play such a joy to behold. Unlike many other productions of this story, presented on stages big and small each holiday season, the play at Trinity Rep in unique every year. The story does not change, always telling the same tale of Scrooge’s ghostly visits and subsequent redemption, but the way that story is presented is different each year. “A Christmas Carol” is typically set in Victorian-era London, but Trinity Rep’s production has often moved that setting, allowing the well-known story to take place in completely different environments. A few years ago I saw a production that was set in America during the Great Depression and, although I did not see it personally, I have also read of a version they once set here in Rhode Island, complete with well-known Ocean State landmarks like the Big Blue Bug and Del’s Lemonade. Other changes that Trinity Rep brings to the story include the tone of the production, with some years being lighthearted and funny and others being genuinely spooky and dark. The gender of the characters themselves is also up for grabs. The company uses “gender-blind” casting, which means that there have been years where Scrooge is played by a woman – a change which adds a completely new dynamic to the character. While the story itself remains unchanged, these variations in how that story is told allow the company to present something that feels new and familiar at the same time. After seeing Trinity Rep’s production last year, I began to wonder where else I could find variations on the story of “A Christmas Carol”. Fittingly, I discovered a number of them where the story first began – in print. A search on Amazon turned up a variety of tales that explored different aspects of what Dickens had started. Many of the books I found featured stories that detailed what happened in the years after the events of the original tale - how Ebenezer Scrooge’s reclamation played out in subsequent Christmases. Other volumes expanded the story by looking not at Scrooge, but at other lesser covered characters from the tale, including his long-dead partner. 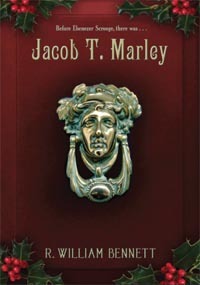 Of all the books I read that built upon the story of “A Christmas Carol”, the best was “Jacob T. Marley” by R. William Bennett. This story tells about not only the life of Scrooge’s partner before he met Ebenezer, but it also explains how the two men became partners in the first place and it shows much of Scrooge’s young life. The book also covers the death of Jacob Marley, his ghostly visit to Scrooge, and a look at what his role was in his old partner’s redemption after that initial visit. Like the ghosts that visit old Scrooge on that fateful Christmas Eve, this book looks at the past, present, and future of a character to add a new chapter to the well-known story. In fact, the additions that this story brings to the holiday tale are so excellent that it has joined the original on my annual Christmastime reading list. So, where is the web design lesson in this love letter to “A Christmas Carol”? It is in the concept of looking to the past, present, and future of a project, in this case a website, when we are looking to create something new. When we work on a website redesign, we will look to the present to determine what the needs of the client and the project are. This allows us to design and develop a solution that will work for them today. If we are doing are job correctly, we are also mindful of the future, developing a site that will grow with the company as their needs change and which will allow for future scalability. So we have the present and the future covered, but what about the past? It is easy to dismiss older versions of a website that we are redesigning. After all, if the site was good, it wouldn’t need to be redesigned, right? This is too narrow a view, yet it is one that I see many designers take all the time. Yes, that older site may be in need of a redesign, but that doesn’t mean there is no value in it. Instead of starting from scratch with that aforementioned “blow it up” approach, we can learn from the past and build on previous versions to create something that, like Trinity Rep’s annual production, feels both new and familiar at the same time. 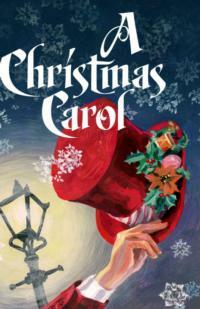 Considering the variations of “A Christmas Carol” that I found to be truly superb, specifically Trinity Rep’s annual production and the book “Jacob T. Marley”, the reason those variations on the story work so well are because they honor the original and build off of that foundation. Instead of taking the “let’s blow this up and start pretty much from scratch” approach, which is what we do in web design all too often, they realize that the history of a project has value and they use that history to set the stage for their “redesign”. The story of “A Christmas Carol”, in itself, is a story of a redesign – the redesign of Ebenezer Scrooge. By looking at his past and present, and by considering his future, the Ghosts of Christmas are able to change the man for the better. This same principal should apply to any technologies or changes we recommend for our clients. We must understand their past, and be willing to build upon what has come before, if we hope to design a solution that will work for their present and long into their future.